The tradition of using Omega-3 fish oil as a supplement stretches hundreds of years back to the Viking era. Northern Norway is the region where it all started. We take pride in continuing to deliver the best quality to the world. 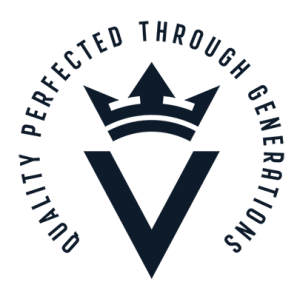 You will find Vesteraalens Omega-3 oil in many of the world leading brands. The importance of omega-3 fatty acids to support overall health, chronic disease management and prevention is widely recognized, yet in most of the world a high proportion of people have a deficiency in omega-3 fatty acids. This may increase the global risk for chronic disease. One’s omega-3 status is associated with the relative weight percentages of EPA and DHA in the blood. An Omega-3 status above 8% is regarded as optimal, while an index of 4% or below is considered deficient. A review on global omega-3 status in healthy adults highlights that very low EPA and DHA blood levels (≤ 4%) were observed in North America, Central and South America, Europe, the Middle East, Southeast Asia, and Africa. Regions with high EPA and DHA blood levels (> 8%) included the Sea of Japan, Scandinavia, and areas with indigenous populations or populations not fully adapted to Westernized food habits (Stark et al., 2016)1. Figure 1. Global blood levels of the sum of eicosapentaenoic acid (EPA) and docosahexaenoic acid (DHA) based on Stark et al., (2016). Oily fish such as salmon, mackerel, herring, sardines, lake trout are rich sources of EPA and DHA. By eating oily fish several times a week adequate blood levels of omega-3s can be reached. For many such food habits might not be achievable. Additional intake of EPA and DHA through dietary supplements can help to ensure an optimal omega-3 status. One known consumer barrier to omega-3 fish oil supplement intake is the fear for a fishy burp and taste. EPA and DHA, being 3 long chain polyunsaturated fatty acids (LCPUFA), are very sensible to oxidation. Oxidation leads to a decrease in nutritional value and the development of unpleasant flavors such as the associated fishiness and rancidity. Unfortunately, acceptance of oxidation has become a widely spread standard in the omega-3 fish oil supplement market. Many actors are encapsulating omega-3s or applying intense masking flavors to limit consumer exposure to oxidation off notes. Still, allowing an oxidized product and along with it, a decreasing nutritional value, to reach the end consumer! At Vesteraalens we think and act differently. An omega-3 fish oil can and should taste absolutely fresh. We are committed to produce fresh omega-3 fish oils with the lowest oxidation levels by acquiring and processing the raw materials while they are still fresh. Freshness that maintains the nutritional value of the omega-3s and assures a superior sensory quality!